When sixteen-year-old Rejoice returns from her mission in space, she discovers her boyfriend is only a friend. She flees the pain by volunteering to join her family in a year-long sea voyage around New Earth. Too bad the creepiest boy in the colony also volunteers. In their search for surviving native species, they encounter storms, monsters big and small, and a new threat to the fragile peace between human and alien. 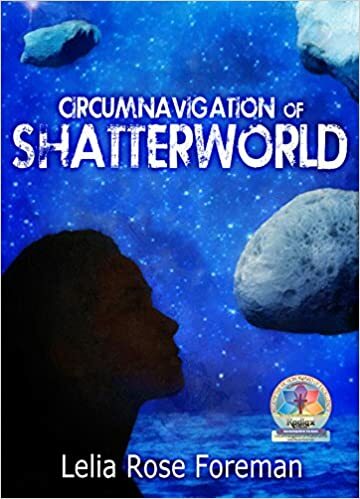 In this character-driven and thought provoking follow up to Shatterworld, both the story and the characters have matured. The world building is well-crafted, leaving you with a completely foreign but believable landscape, and the characters … they are so real as to sometimes be frustrating. At times lovable, at times making me want to shout at them with the heroine. I struggled along with Rejoice to know exactly what I felt about everyone present, as my feelings changed with the revelations and the growth of both Rejoice and her companions. Everything builds to a dramatic revelation that both satisfied and left it open for a potentially dramatic sequel. I received a free copy in return for my honest review.